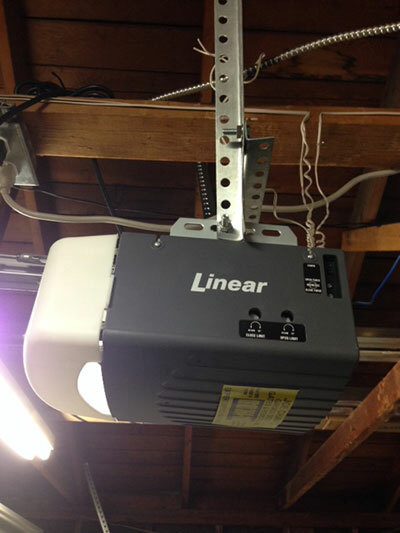 Electric garage door openers are mechanisms that usually work with the help of electricity. They consist of a motor, a drive guide system, a rail, a trolley and safety features. They have bulbs so that people would walk in illuminated garages and are usually mounted on the ceiling. There are solar openers as well but electric operators are more common. Their motor would either have ½, ¾ or 1 horsepower and this would be chosen in relation to the needs of the door. The drive guide system would be in the form of a chain, belt or drive that would run in a rail and connect with the trolley. Electric power is transferred by one part to the other and the door opens automatically. Actually, the entire garage mechanism is very complex since every single part is cleverly interconnected with others in order for the door to move. Garage door openers are the most sophisticated among them all and won't only allow you to move the door automatically but also to turn it into manual operation mode in times of need. As experts in operating systems and garage door repair services, we know details about the way openers work and what they need in order to work properly. That's why we provide top garage door opener maintenance. Every professional at Garage Door Repair Crystal knows the significance of openers for people's convenience and that's the reason for helping you get the best choice for your home. Though, the safety of openers is the priority of Garage Door Repair Crystal. Openers guarantee safety when they are maintained properly and their problems are handled fast. We guarantee both. We have been servicing door operating systems for years, are aware of their development and all new age Marantec, Genie and Liftmaster door opener mechanisms. We don't just make sure they are properly inspected and serviced but we will also be there every time you will have problems. We provide emergency opener repair, are fast and well-equipped. You can depend on our knowledgeable team.